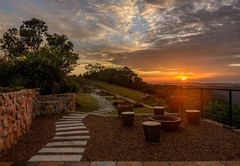 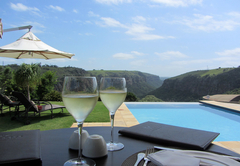 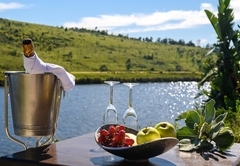 The Gorge Private Game Lodge & Spa is a 5 star graded game lodge offering Oribi Gorge accommodation in 5 guest rooms. 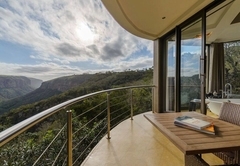 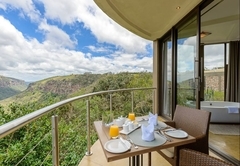 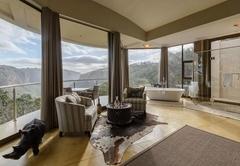 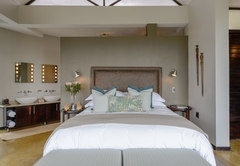 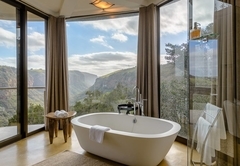 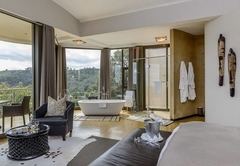 The opulent, eco-friendly design of the spacious villas boasts double volume glass, offering guests panoramic views of the magnificent Oribi Gorge canyon. 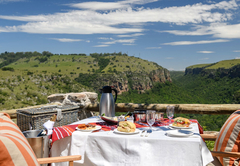 From this vantage point, guests can enjoy the sight of the endangered Cape Vultures gliding on the thermals and our ever changing views. 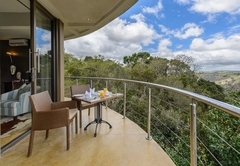 Elevated 4 metres off the ground, each villa flows seamlessly from state-of-the-art comfort and luxury into the unique indigenous coastal forest with its abundance of butterfly and birdlife. 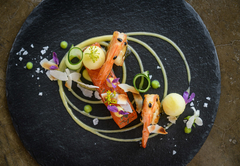 Our talented chef, Chris Whitham, prides himself on presenting our guests with exquisite fine dining cuisine. 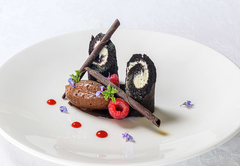 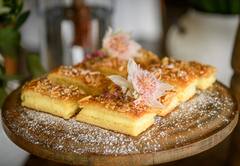 He uses his creative flair and passion for cooking to create our remarkable signature dishes. 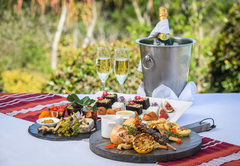 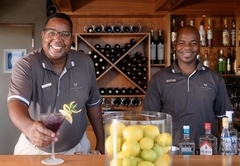 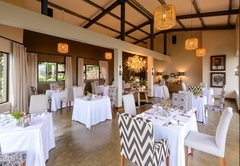 Guests can savour a selection of estate wines in the open-plan restaurant while interacting with the chefs as they prepare first class, fine dining cuisine with its distinct “African Fusion “. 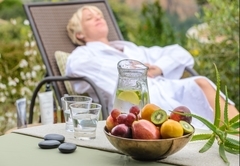 Experience a moment of complete indulgence, pampering and luxury at our lavish day spa which offers a range of therapies incorporating the exclusive products of Dermalogica and Africology. 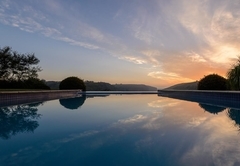 Professional therapists and breathtaking views enable guests to immerse themselves in peace and tranquillity. 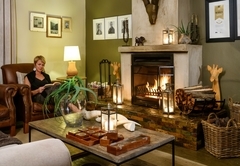 Day visitors are welcome to book treatments. 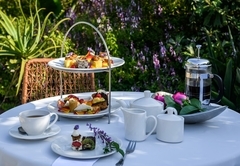 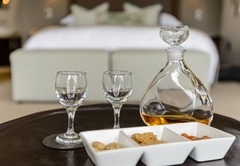 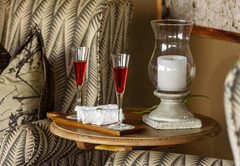 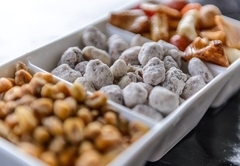 With our owner run establishment’s emphasis on attention to detail, personalised service and a sense of “timelessness”, our guests are pampered in all areas of their stay at their own leisure. 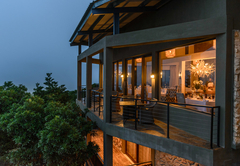 Nature lovers will enjoy our informative guided trails through the indigenous coastal forests with its rich bio-diversity of plant, animal, insect and 250 recorded bird species. 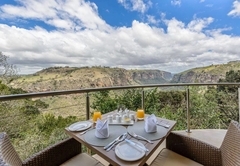 The Oribi Gorge bird list shows 250 recorded species including Cape Vulture, Crowned Eagle, African Finfoot, Ground Hornbill, Knysna Woodpecker, and African Broadbill. 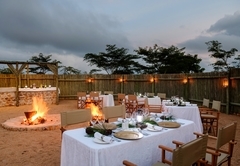 Most of Southern Africa’s plains animals can be seen on our daily game drives. 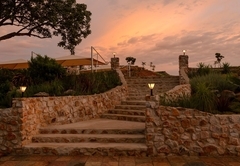 Gate closes at 18h30, arrangements can be made for a late arrival provided prior arrangement has been made.